The Jesuits were a Catholic religious order sent to the Mississippi Valley to convert the Native Americans and minister to the spiritual needs of the French colonists. They are credited with being the first people to introduce sugarcane to the Province of Louisiana, from which they produced sugar and molasses for their own use. The cane was imported from the Caribbean, where it was being grown commercially in colonies such as Barbados, Saint Domingue, and Jamaica. It was not thought to be a viable commercial crop here as the winters in the New Orleans area were too cool. The Jesuits first planted sugar cane in 1751 on their plantation, which encompassed much of the Central Business District of New Orleans. The early sugar crops produced sugar in the traditional method known as the “Jamaica Train”. This phrase describes the early arduous task of turning cane stalks into sugar. First, the harvested cane was crushed on a millstone that turned steadily by animal or people power. Because the cane juice spoiled quickly in the harvested cane stalk, the crushing of the cane had to proceed quickly and continuously until the full harvest was milled. Cane juice was then placed into large but shallow open kettles, usually made of cast iron, in which the juice was boiled to evaporate the water. As the liquid reduced it was transferred to increasingly smaller kettles until only molten sugar remained. Finally, it was poured into conical molds, the shape of which facilitated removal of the hardened sugar. 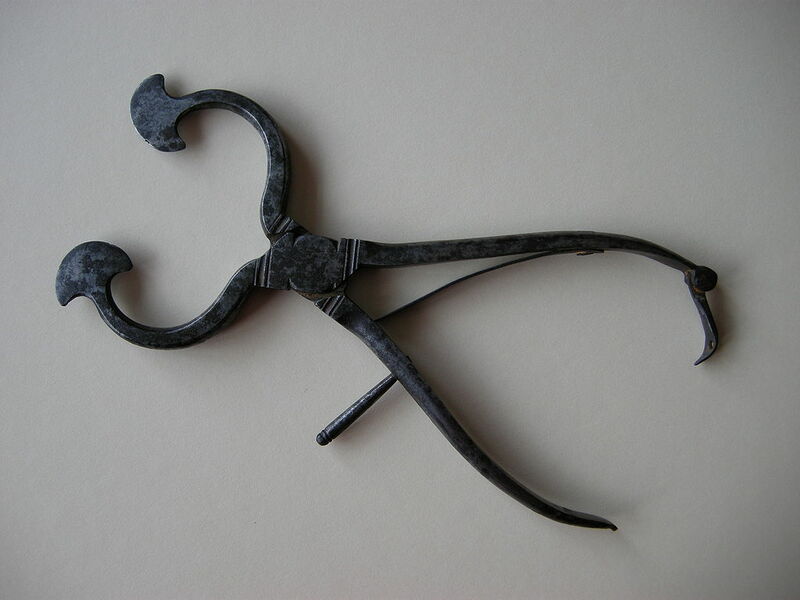 To use the sugar, a hammer or sugar nipper was employed to break off pieces. The hard sugar could then be pulverized for ease of use. 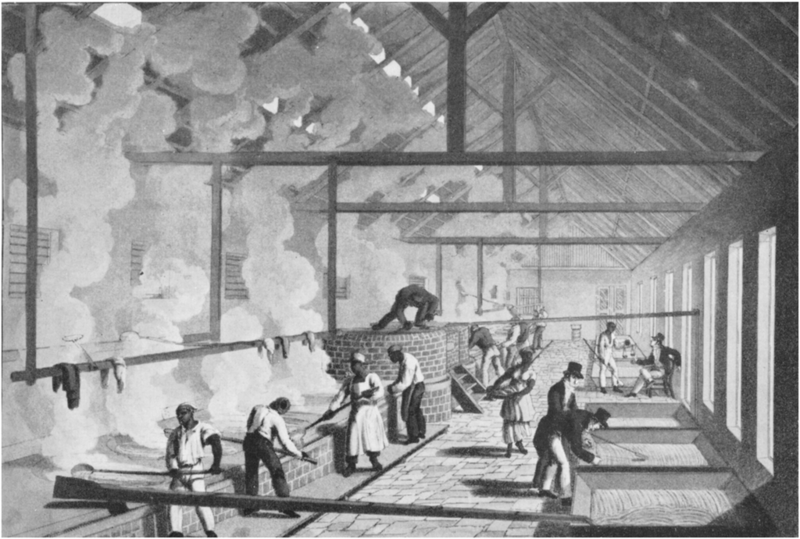 Broken lumps of sugar were placed into a small covered vessel for use at the table and individual lumps were added to hot drinks, such as coffee or tea, with a pair of tongs.